It's that time of year again. 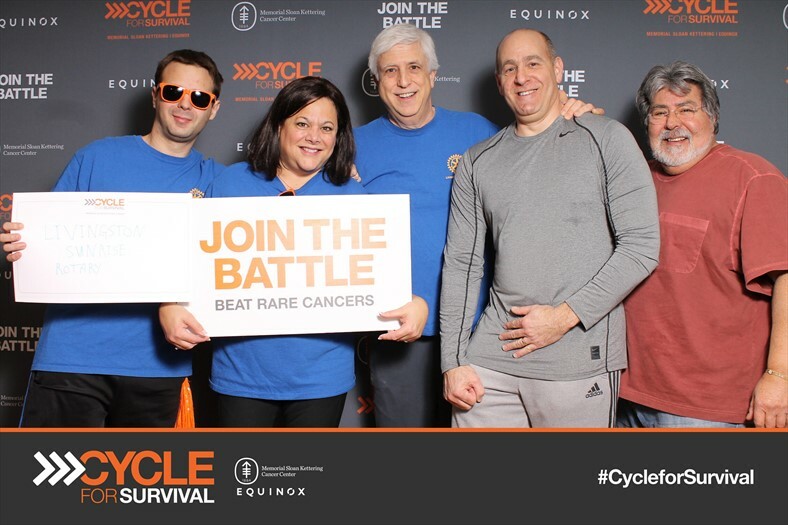 Livingston Sunrise Rotary has registered to have two bikes for the 2018 Cycle for Survival! The event will be held on February 3, 2017 at Equinox in Summit from 8:00am-12:00pm. 100% of the money raised funds cancer research, so every dollar benefits patients. Please be sure to donate and ask family and friends for donations as well. Our goal is to help raise as much money as possible for cancer research. If you cannot sign up, please consider donating to our team. Please consider joining our team. It will be a fun morning! We will split the morning up so that each person gets to ride for about 20-30 minutes. Your family members (over the age of 18) are welcome to join the team. 2. Click "Join This Team"
Hope that this is our most successful year yet!